Available now. Dylan Metrano’s first book of original papercuttings. 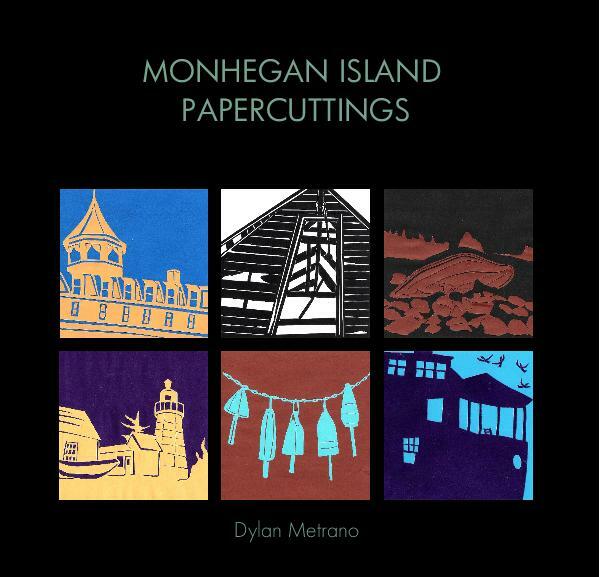 Monhegan Island Papercuttings features 29 full-color papercuttings by Dylan Metrano. Each image is cut from a single piece of paper with an X-Acto blade, and glued onto another. These pieces were made in 2009 and 2010 and feature historical buildings and natural landmarks of Monhegan, a tiny island twelve miles off the coast of Maine.